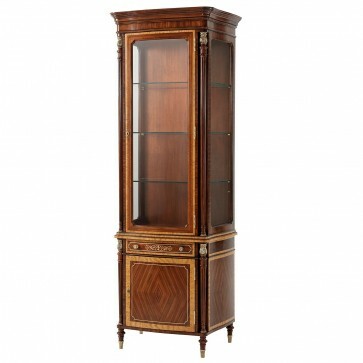 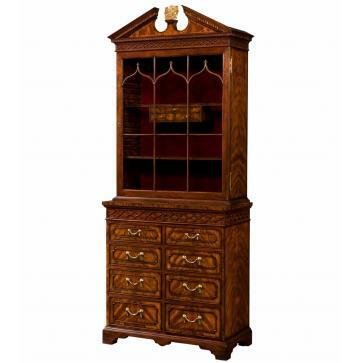 A attractive mahogany breakfront display cabinet exclusively designed after an early 19th century Thomas Hope pedestal desk. 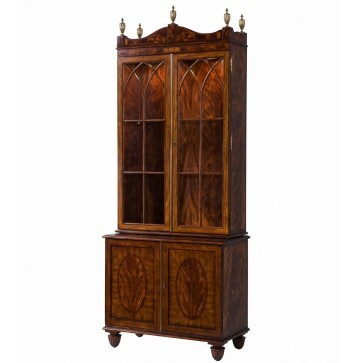 A attractive mahogany breakfront display cabinet exclusively designed after an early 19th century Thomas Hope pedestal desk. 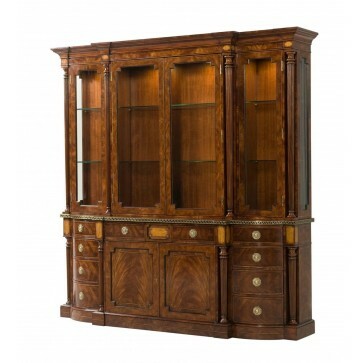 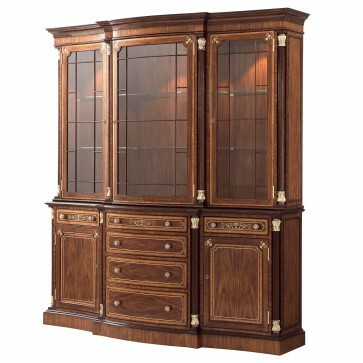 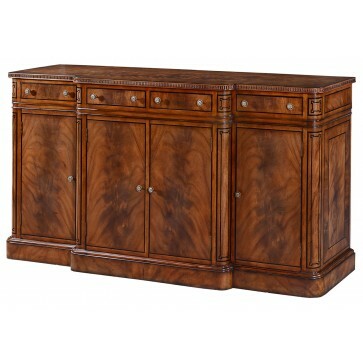 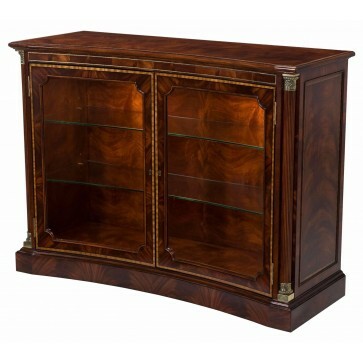 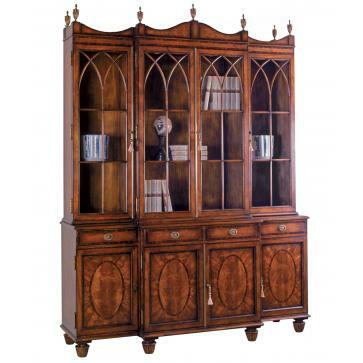 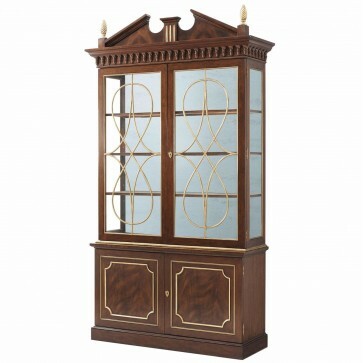 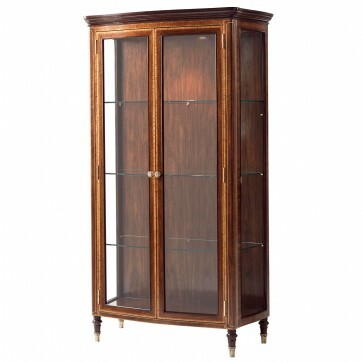 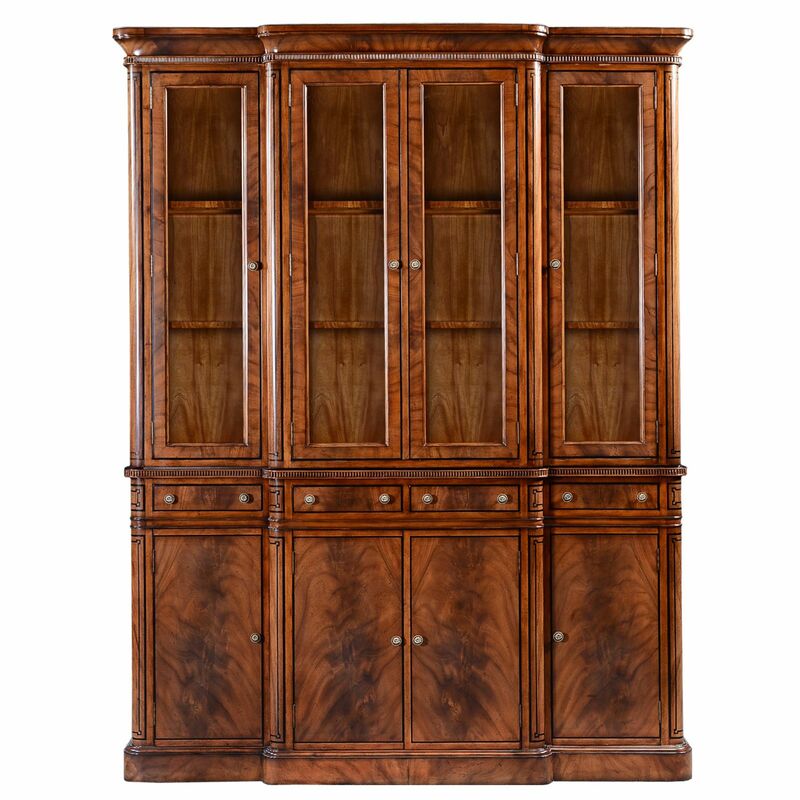 In carefully selected flame mahogany veneers throughout the exterior, the glazed upper section has dimmable Hafele spotlights and wooden framed glass shelves with adjustable height settings. 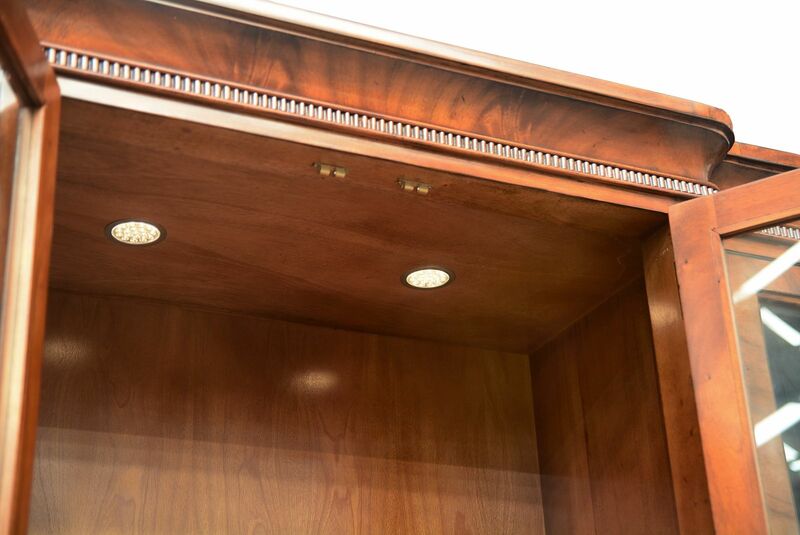 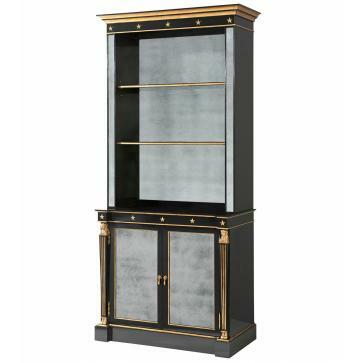 The drawers and cupboard doors each have an ebonised perimeter and are finished with a floral brass knob. 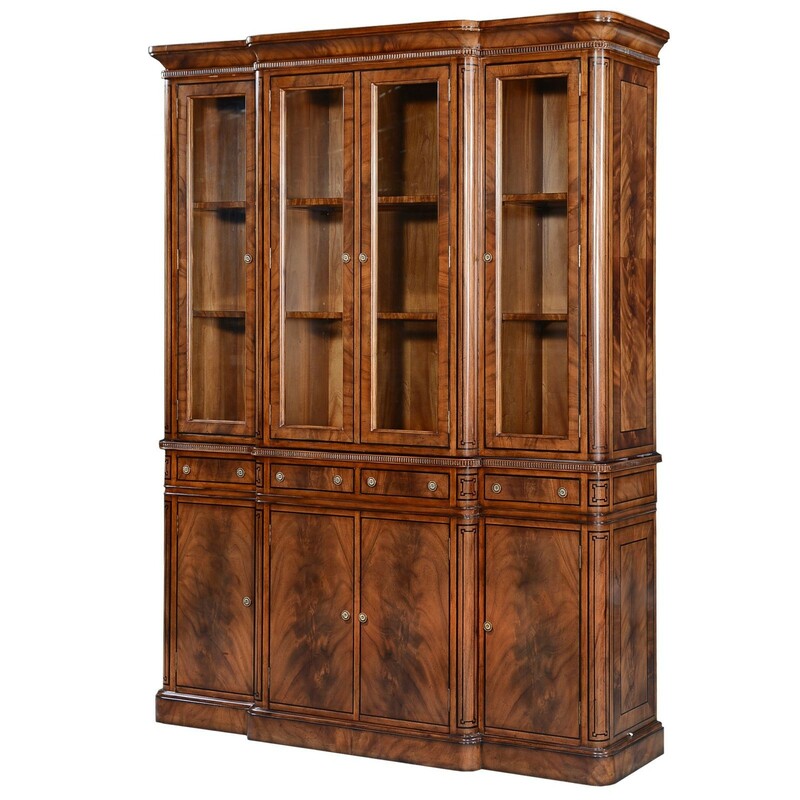 The drawers are baize lined and each cupboard has a shelf which is adjustable to three height settings. 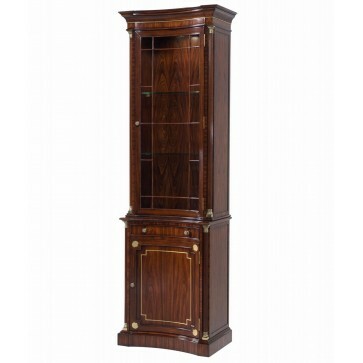 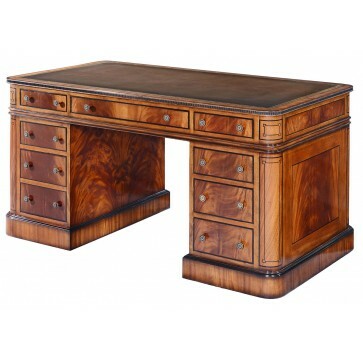 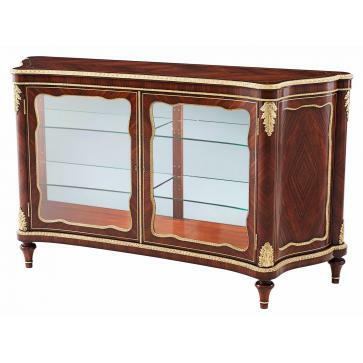 All four rounded corners to the front of the piece are decorated with an elegant ebonised linear design.